Absolutely Lao well said! My niece went through a very damaging mental abuse from her going school, to the point that get family relocated just so that their child had a chance of a new b ginning in a totally new environment. It was the best decision they made and now she’s flourishing abd growing in her skill and confidence. I hope the organiza heeds your advice, for it us right on. Hi, Thanks for your feedback. Glad to hear that your niece was able to get out of that toxic environment. Please share this article with anyone you know in sports. We can build momentum for change. i have been brought up in the elite track system in europe and then got involved in weightlifting and wag. i was shocked by the culture of obedience you describe in wag. it is very obvious to an incoming outsider who is used to a very much different style of coaching focusing on the responsible and mature and selfsufficient athlete instead of producing little soldiers. thanks for this article. Hi. Thats for writing. Yes, this type of abusive culture is present in many other sports through out the world I appreciate you taking the time to write it. Please share it with those you know in sports. All 100% true. My daughter has experienced every single thing on this list. Including not telling her coach when she was injured because the coach would be furious with her and tell her it was because she “wasn’t concentrating” or to “stop making stupid mistakes,” and ridicule her for being a baby. This is SPOT ON. Oh, the stories I could tell…. Hi, Thanks for your feedback. It is sad that you and your daughter resonate so strongly with the things I describe in my article. I am getting emails, phone calls, and feedback from so many gymnast and parents all over the country, validating my article. It is sad that the abuse is so prevalent. We have to make a change. Please share the article with anyone you know affiliated with gymnastics. This is so on the mark. I have a son that after nationals this year finally stepped forward at 13 and level 9 going level 10 quit. I tried to get him to go to another gym and even though the coach was great with him he came to me and said I am mentally damaged. I just can’t do it. He has been at one of the most prominent gyms in the US his entire life and now he just walked away from the sport he loves because of the abuse. It makes me sick to my stomach that I didn’t realize how bad he was hurting. He held it all in so I would not make it worse for him. I didn’t notice until I watched practice at nationals and he wasn’t allowed to warm up all events because his coach didn’t want to wait in line. Then was mad when he didn’t hit his 1st event and walked away. Hi, What a horrible story. Email me and let me know what gym. I am sure I have heard of them. our sons story is all to familiar, and so far it has been ok to treat “kids” like this. Thanks for taking the time to write and read the article. Please share it with everyone you know connected to gymnastics. Thank you SO much for this article. My daughter changed gyms due to a work related move. She was sworn at, yelled at, had things thrown at her, isolated and humiliated at the new gym. This is a kid who had made 3 national Tops teams. She spent 14 days in the hospital directly caused by the abuse she suffered. When she was admitted, she weighed less than 60 lbs and her heart rate was below 40. Her doctor said that what she disclosed was reportable. But, the hospital did not report because she was too fragile to go through the investigation. The gym blamed us, her parents. We did try to stand up for her. We did speak to the gym coaches and owners. She was retalieded against. It was horrible. Other parents blamed and shunned us too. After all, it wasn’t their kid (this time) and she just couldn’t handle “hard coaching”. It’s been 2 1/2 years and my daughter made it back to the sport she loved. She’s at a new gym with a very different approach to coaching. We’re hoping for a respectable 9 season. But, she still can’t help wondering what could have been. She feels that the opportunity to try for her dream of elite was stolen from her. She’s 12 years old now. Hi.It is horrible to hear what happened to your daughter. Having things thrown at her is so wrong. I have heard this before. 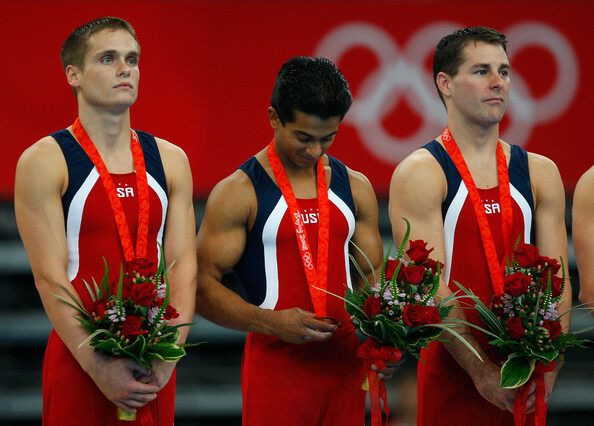 I even had a gymnasts whose coach spit on them. And this is ok in the current system. I am glad your daughter is in a better gym. Thanks for writing and taking the time to read the article. Please share it with others. It is your fault. You couldn’t tell your daughter was 60 pounds? How do you not take responsibility ? You missed every warning sign and need to take partial blame. My sister’s daughter was screamed at by her softball coach, ONCE and that is all it took for my sister to confront the coach. It never happened again. You didn’t do your job as a parent. Not sure where your comments are directed. It sounds like you have a lot of energy about some issue. Perhaps you can talk with the person you are directing these comments to directly, and in person. FInally! Well said and very accurate. My gymnastics experience (long time ago) was amazing and I have nothing but fond memories. My daughters experience has been plagued with the emotional abuse you talk about and yes, I also sat by and allowed it to happen, knowing it was wrong. Thinking I could change the culture in our area, I decided to open a gym that would NOT allow any of the mental and emotional abuse that is all to common and accepted in our city. After reading your article, I have a renewed sense of hope. As the “gym owner”, you would think it would be easy for me to run my gym as I see fit, or so I thought. I will admit, there’s been moments I’ve questioned if it’s really worth all the criticism and unfair biased my athletes and coaches must endure, just because we do not adhere to the unwritten rules all gyms and owners should comply with? Hi! Congratulations on taking action to create the right kind of environment for gymnasts. I hear these horror stories week after week, month after month. I finally decided to hit it hard with what many of us see as the truth. I am getting responses from all over the country. Lets keep the pressure on. We can make this culture change. Thanks for going public with this horrendous injustice. Healthy mental and physical development of children should never involve mistreatment or punishment either verbal or physical. It is a long road ahead and with the help of organizations like the USAG, the US Olympic committee, and PCA hopefully we can help to push it out of sports. Unfortunately it will require patents and athletes to take a stand and in turn make some hard decisions that may cause them to quit the sport. In the case of gymnastics, there are so few gyms at the top that athletes and their families fear that they will lost out altogether. The treatment in many cases is criminal and the owners and coaches should be dealt with accordingly. Hi, thanks for your feedback. It is horrible. I took a risk writing it, but it is time to end this nightmare. I appreciate you taking the time to read the article and giving your feedback. As a formerly gymnast that was subject to verbal and emotional abuse all throughout my time in the sport, it is encouraging to learn that some coaches are learning to avoid those harmful practices. For far too long USAG ignored the abusive culture of gymnastics. They knew girls were being abused at all levels. I’m glad it will end. Hi, thanks for your reply. And thanks for reading my article. I am sorry to hear that you too have suffered from this culture of abuse. The more of us that speak up about it the stronger we become and the greater the chance for change. Stay strong. Scores were changed that affected the outcomes of meets? This is cheating and needs to be exposed more fully. This damages the integrity of the sport and cannot be tolerated. Yes. Everyone knows it but no-one did anything about it. Thanks for your input. Thank you for being this voice. My daughter, a USA senior international elite gymnast quit suddenly last year after “shutting down”. It’s been a trying year for her as she still doesn’t know how to handle her feelings towards this sport she used to love. 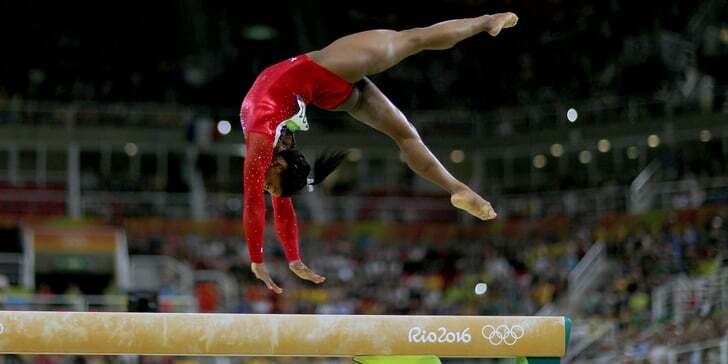 She completely turned inward and I thought that she’d mentally recover after taking “a break” from gymnastics. I’d like to contact you and see if we can set up a (few) sessions with my daughter. What you described in this blog could have been written about her experiences with her coaches which ultimately affected her entire world. Thank you ever so much for your understanding and for helping to change the cycle. Hi. I don’t get to this site that often to reply but I didn’t want your post to go without a response. I am sad to hear that your talented daughter left the sport. Since I can’t see your name I don’t know if you contacted me or not. If you haven’t I would love to help your daughter work her way through this transition. Email me if you like. OMG! I’m sitting her in tears reading this–it is exactly what my daughter went through with her old coach. We have since made a gym change and the environment is much more positive and she is so much happier–happier than I have seen her in a long time. BUT…she still deals with the mental anguish. She is constantly worried that she’ll never be good enough. She has what appear to be random fear issues (mainly caused by inconsistent training since she was always being punished or ignored, or both). Inconsistency is the name of her game. The coaches are working really, really hard with her, but I don’t think they fully understand where she’s at mentally. I will definitely be sharing this article with them! Hi. Glad to hear that you got her out of that gym. If you have read the other comments you can see that this is epidemic. It is sad that changing gyms is the only intervention that has gotten relief. I am suggesting parents contact the coach, then the gym owner, then the regional office, then USAG, then SafeSport. You won’t get much from them but we are working to create a collective voice. If that voice gets loud enough we can create change. There is a group of very strong and successful coaches and other leaders working to create a new culture. It is time! A trove of documents unsealed by a Georgia court last week revealed even more details about how little USAG did when presented with allegations of sexual abuse—and how Penny downplayed investigations because he wanted to avoid a “witch hunt. Yes. He and other need to be and will be held accountable. Thank you for speaking out. I wish this was aired years ago. My son experienced this at a prominent Houston gym with a top rated coach. It’s taken 6 years for him to repair the mental and physical damage that was done. Interestingly, when my son left the sport, five other boys left the team the next week due to the verbal and mental abuse going too far. My son walking away gave others the courage to do so, too. This man is still a highly regarded coach who feeds his chosen gymnasts to the number one collegiate team in the country (his alma mater). when one gymnast made it on to another collegiate team without any help from the coach, the young man said, “I’ve succeeded in spite of you, not because of you”. Too much damage from this coach and the cycle continues. Hi Sorry to hear this. Your son is a leader. He showed others how to stop the cycle. I bet he does something great with his life. If you want to back channel me with the name of the gym and coach I would appreciate it. I like to know what is going on so when I get a call from a parent or athlete from that gym I am prepared. Thanks for taking the time to write. I agree with your statements, but don’t you also believe parents share some responsibility in not taking their kids elsewhere or speaking up for their children because they are too young to speak for themselves. It’s exhausting not seeing parents also being held accountable. Parents get so wrapped up in trying to make their kids successful. You can read it in every post. “My doctor told my kid to take time off, she/he is devastated, what should I do?” Those questions should be answered, take time off. The answers I read are get another opinion or my daughter kept working and was fine. I don’t even think it is all about making it to the Olympics either…when colleges start making offers to 8th graders parents are pushing hard. Yes, parents definitely have a role in perpetuating abuse. I thought that I alluded to that in my article. They are groomed and conditioned to be silent. If they speak up, they are labeled as a “bad parent” and their child suffers. I have seen kids who stayed in abusive gyms and now have horrible anxiety, mental blocks, low self esteem and worse. Some parents do live that dream that their kid will be the next Olympian. That is such a rare and hard thing to do, but they tolerate abuse and sacrifice their kid for the dream. Thanks for mentioning this. I have asked quite a few parents who have written me to tell me why they didn’t take action. I want to write another article about the parent role and how they can learn to have a voice and speak up. I told them I would keep their name and gym confidential. Nobody writes back. I think they feel guilty. Dr. Andrew, I agree with you for everything you said about the gym and gymnastics problems in this country. However, I disagree with you for endorsing MG Elite on this. They are no different on handling athletes. I personally spoke with you about this. I appreciate your feedback. I am sorry that you had a bad experience at that gym. If you can back channel me with the details I would appreciate it. I have received a ton of feedback since I published this article the first time. I can’t keep up with all the correspondence. I am interested in what you have to say. It is horrible the things these “coaches” get away with. 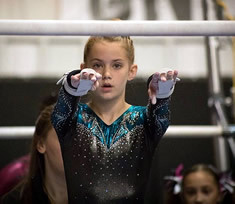 My daughter was amazing at beam and she gave it up when her coach suddenly died and was replaced with this horrible “witch” who constantly berated her and tried to kick her out of the gym when I walked up to her during practice on probably the worst day of her life to tell her grandma had just died and we needed to leave right then. It is good to know that Mark Williams is one of the encouraging coaches though. Oklahoma is not paying that man enough for all he has done for their gymnastics program. Hi. Thanks for your feedback. Sorry to hear that your daughter had such a great coach and that this coach was replaced by a witch. It happens. Too many witches out there. We need more Mark Williams don’t we! This is the best read ever! It hits the bullseye on so many points. I believe I have a child dealing with this . She tends to have more anxiety in the first place and more so lately. When she goes to practice, that anxiety shoots out the roof with crocodile tears and sometimes lack of appetite. Some of it I have identified as fear of being yelled at and is likely contributing to her not performing her best . This is so helpful and will guide me in the process of helping and supporting her to fully love the sport again and not lose interest. My question is, what is the best way to discuss it with gym. Speak to the individual coaches about helping to take the fear away from being yelled at? Or speak to gym owners about what I feel my daughter needs and has been dealing with and hope they communicate to the coaches that my athlete is more receptive to less threatening style of coaching? Parents too succumb to the psychology because we become reluctant to speak up as well because we don’t know if our an approach will hinder or help?? I have been guiding and encouraging her to use her words and thoughts to articulate her fears on her own. Hi. Thanks for your comment. I am sorry your child is experiencing this first hand. I call it “escalation of leverages”. Start with the coach. Don’t meet with them one on one. Meet with your child, your spouse, and the coach. If that doesn’t meet, add the gym owner into the meeting. If that doesn’t create change then go to your region, the USAG, then Safe Sport. None of them are doing much but if we get a loud enough collective voice they will have to listen. There is a group of us working behind the scenes to create long lasting change. It is time! Growing up I was a competitive ice skater, and I had friends who were serious gymnasts, dancers, and other elite athletes. Your article really resonates with my experiences in skating, as well as some of the experiences I knew other young girls were having in their chosen passions. The same cultural norms that lead to vulnerability and often subservience in young girls are part of a larger cultural problem that we see manifest in mistreatment of women and fear of retaliation if one speaks up. I do hope our society at large is learning serious lessons of late and that there is a trickle down effect to all of the beautiful sports and arts that have traditionally taught girls (and their families) to fear powerful people and powerful institutions. Bravo for yelling your message from the rooftops! The “It’s Time” movement is creating widespread change in so many areas of our society. It is only a matter of time before it works its way through all of sports. I have worked with athletes in ice skating, dance, ballet, baseball, softball, and so many other sports who have experienced horrendous abuse. We have to change our cultures in so many areas. The only way that happens is if athletes and parents continue to speak up. I think this is about everyone finding their voice and their power. A great, eye-opening read which also leaves me with a combination of feelings – mostly guilt and vindication. 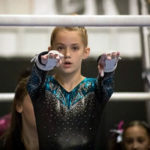 I often felt I needed to defend my gymnast daughter from “playground bullies,” but when I spoke up, I was treated and viewed as the “overbearing psycho-parent.” I got a lot of “don’t tell me how to do my job.” And I was starting to believe it WAS me. We finally changed gyms (didn’t want to leave teammates) and things are so much better now. Car rides home are better. I no longer feel like I have to defend or fight for her. At least I think it’s better. I will have my gymnast read this and then discuss. THANK YOU. You lived exactly what I wrote about. I am sorry to hear that you experienced this first hand. You did a good thing getting your daughter out of that gym. There is a force of working behind the scenes to create deep and long lasting change in our sport. It will take time but change is coming. In the meantime report to USAG and Safe Sport if there were serious physical, mental, and emotional abuse issues. Thanks for your feedback. Your daughter is another sad, but typical story. I hope she finds another avenue for her passion. That is a huge part of making the transition out of their respective sport. Thank you for being these matters to the worlds attention. It is unfair that gymnasts (and other competitive athletes I’m sure) go through this abuse. I was subjected to this as a women’s JO national gymnast and unfortunately understand all the things you have mentioned in your article. These athletes are not just aging physically and mentally which shape their personalities and mentalities for the rest of their life. My question for you is: what advice do you have for those that are looking to cope and heal from this abuse? What resources and training is out there? I am 33 years old and struggling with changing who I am as a person because all I know how to do is please others, just accept abuse, and fear disappointing others. It’s affecting my career and my marriage. I am in counseling and working with doctors. How can we stop this from happening to others? What help can we give to those that are suffering long term? Thank you for all the difference you’re making! Spot on! This behavior happens at a famous gym today which I will not name for fear of further retaliation in forms which you accurately named in your article. Multiple complaints submitted by many without long lasting change except the coach(s) may be on their best behavior for a short period of time &/or finds other ways to more inconspicuously retaliate. Most parents are too afraid to speak up, gymnasts learn how to accept abuse, decades of this cycle repeat itself, but gold medals and national/international success are achieved on the surface so where’s the motivation to change a system that “appears” to work for the gym. It’s sickening, widespread, and deeply rooted into the culture. What can one do when USAG is part of the problem with longstanding buddy system relationships across its staff, gym owners, coaches designed to support bias and cover up? How about a complete USAG overhaul hiring leadership who actually understand corporate business ethics, not just former gymnasts and coaches who grew up in the same abusive system they cover up? Yes. This horrible culture is all to prevalent. Especially if that gym produces national team athletes, and has “success”. There is an undercurrent of change on the way. Keep speaking up. Contact USAG and Safe Sport. They aren’t doing much now, but if people keep reporting the collective voice will get so loud they have to pay attention. Especially when we either form a new organization or get rid of current “leadership”. If you want to email me I would like to know the name of that gym. I will keep it confidential. I have a pretty good idea though. My daughter was recently kicked out of her gym and right before competition. All to the fact that I constantly questioned the gym on their wrong doings. I also called out some parents on the bullying and wrongful actions of some teammates. Sad to say, because of who the moms are to the gym, the bullies get to stay, the bullied gymnast has to go. And when I started calling people out, a coach started verbally abusing my gymnast so badly and stopped coaching her. Making sure she embarrassed her in front of the team. Also made she sure she did not have 1 skill to move up a level. This coach had the nerve to verbally attack me infront of other parents as well, telling me that my daughter will not do well in competition this year, the girls are surpassing her in skills, and she was going to make her cry a lot. She wanted me to cause a scene. We are now at a fantastic gym, but my little one is emotionally broken. She is a young and very talented optional, she was in a gym the very next day after she was kicked out, her heart for the sport is like no other, I just hope hope we can rebuild her confidence and trust in coaches and friendships. Hi You were wise to get her out of that horrible situation. I am glad she is in a safe gym where she can focus on gymnastics and not being bullied by “teammates” and coaches. I suggest letting USAG and Safe Sport know and documenting your contact with them. They most likely won’t do anything as USAg seems to be asleep at the wheel, and Safe Sport is only addressing issues concerning sexual abuse when. But the more people report the louder the movement for change gets. Let me know what happens. Unfortunately this is also happening in Australia 🇦🇺 minus the sexual abuse. I have t heard of any sexual abuse not saying it hasn’t happened but through my daughter’s experience of elite WAG gymnastics we haven’t come across it. However all of this article is identical to our programs in WAG and MAG in Sydney NSW!!!! We are no different!!! Seriously concerning after watching the fall out of the USA 🇺🇸 Gymnastics. Hi.Thanks for writing all the way from Australia. Sorry to hear that there are similar issues that your daughter is facing. I was supposed to go to Australia last summer to work with some teams and organizations over there. It didn’t work out. Let me know if I can help in any way. The worst part, and this is very hard to understand, is that my own parents are now the employers of this coach, she is coaching in the gym my parents own. They still believe that this woman is the best coach in all of our state! They are so brainwashed by her that they do not believe their own daughters anymore. My sister went through the same things that I had to go through and only recently started to understand all the shortcomings of this coach. She is now supporting me, which has helped me so much! Together we are trying to make our parents realize what is happening. Just a very recent example: Kids aged 10 were taken to a foreign country without their parents for a competition. The girls were served only 2 meals a day while training six hours every day! My sister witnessed this first hand. I am so shocked that this is still going on. While the behavior and training ‘techniques’ used by the coach are very similar to what you describe, the situation I am in is much more difficult. Inspired by the Larry Nassar victim impact statements I now want to finally be brave enough to face this coach and in turn, even fight my parents if it becomes necessary. She must never again abuse a child in this way. I want to force my parents gym to finally enforce proper child protection policies and allow transparency for the first time in their gym. To conclude my thoughts: Everything in my situation just feels twisted, wrong and confusing, especially because the psychological manipulation has affected my whole family severely and they do not see this yet as clearly as I do. It helped me so much to read how many we are across the globe! Hi. Thank you for taking the time to read my article. It sounds like you have betrayed twice. Once by your coach and again by your parts. Have you ever considered contraction the FIG or your national governing body? Omg, did you just have a coach leave to come coach in Dallas, TX? If so please post your reply, I’m worried it’s going to be our gym. If true, we need to be prepared for another abuser to replace the other. HI. I am not sure what you are referring to. Can you give me more detail? Last month my daughter’s were kicked off the team because I had complained about their coach to the owner of the gym. I had brought up the issue of physical and emotional abuse in July, 2017. Their coach was their teammate at one time until she retired and began to coach. Which I think made the abuse very painful. My youngest daughter has moved on and started at a new gym, a better, more professional gym. My oldest, now 12, is struggling. She wants to do gymnastics with all her heart but she refuses to go to another gym. She is heartbroken we can not go back. She blames herself for “complaining” to me. I’m so angry. She was in the midst of a mental block and her coach pushed and pushed with frustration and demands instead of encouragent and kindness and support. She cried on my shoulder for hours. The coach singles out my daughter and maybe a couple other younger girls. I feel powerless. I am dumbfounded that they just removed us from the team. Year’s of practice and open gyms and birthday parties and friends and coaches. Even I have lost friends from it. And there is nothing I can do. And this coach is still coaching. I hope she matures and doesn’t ruin this wonderful experience for other girls. Hi Cynthia. I am so sorry to hear that your and your daughters are living out what I wrote about in this article. I suggest contacting SafeSport but I am hearing that it is not doing much good unless you are reporting sexual abuse. Can you email be privately? I have more I want to discuss with you privately. Go to my homepage and send me an email. Thanks. We recently pulled our daughter from her former gym due to the exact things you describe. The gym hired a new coach with great credentials, but it wasn’t long until things started feeling off. No matter how hard kids would try, the coach would tell them they didn’t “put in the work” and didn’t “deserve to compete” if they were not successful. Effort did not matter, only results. And it did not matter at all why you weren’t having results — injuries and mental blocks led to shunning. Shunning would push the kids further behind, and then the coach would say she was too busy with her kids who weren’t behind to focus on the ones who were. It became a self-fulfilling prophecy. They used rope climbs and running as punishment, for things like falling off the beam while learning new skills or developing fears. They would rope climb until their thighs were scabbed with burns. We pulled our daughter mid-season, before state and regionals, due to the gym owners’ and coach’s behavior. They told my daughter they could no longer trust her, since she told us the things that were happening at practice. And the owner told me that protecting her coach would always be her number one priority. This is a very successful gym in North Texas, one that has recently been optional program of the year for TXUSAG. Other parents saw what happened to my daughter, but no one else will leave, because their daughters are doing well, or because the gym is very successful, or because surely it must really be my daughter’s fault. My daughter tells us the coaches also mistreat other girls, but most of them are intimidated into silence. Luckily, my daughter does not fear authority figures, so she told us what was happening and we got her out of there. We joined a new gym, one that is even more successful, and the treatment of the girls is night and day. My daughter’s coaches tell her that conditioning should not damage her body or her soul. They give her attention even if she is injured or having a bad day. They give corrections with kindness. They say the goal is to build healthy, well rounded and happy people — learning some gymnastics is just the icing. And they really seem to mean it. Hi, Congratulations on stepping and taking the appropriate action to get your daughter out of there. I have an idea which gym you are taking about. It is sad and unfortunate that the old culture I describe is still being defended by coaches and gym owners. If you want to email me privately to let me know where she was and where she is I would appreciate it. I like to know which gyms are trouble and which ones are developing great culture. I talk to a lot of gymnasts and parents who are going through what you left behind.